If you like to car camp, this is the Taj Mahal. I have owned and camped in many different tents over the past 40 years and this one is the best for comfortable car camping. I have owned this tent for over 3 years. This past weekend, a friend and I (plus two small dogs) took it on a short camping trip and I was reminded again how comfortable it is. The first thing I like about this umbrella style tent is that it very easy for two people to set up. It helps if one person is over 6 feet tall. (Unlike many other large tents, there are no sleeves to thread the poles through). The taller person stands inside a door on a mat, holds the top hub, and inserts each pole tip into its respective seat while the second person guides the pole bottom onto its pin. Once the four corners have been set up, snap the clips onto the poles, stake the four corners and the center loop near each door, and set up the rain fly. All total, it takes two experienced people less than five minutes. The second thing I like is the height. As others have noted, tall people can stand up in the tent. I am 6'2" and have plenty of head room. The doors are also high. Thus, I can easily walk into and out of the tent. 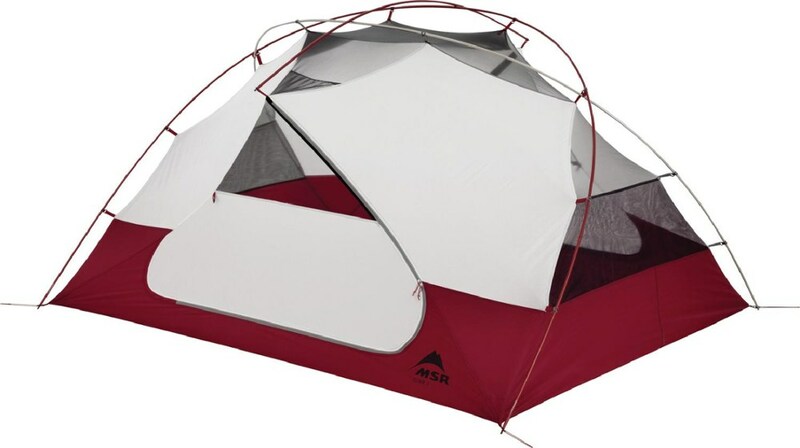 The third thing we like about this tent is that it seems well suited for many different weather conditions. It has four large screen windows that provide ample cross ventilation in hot weather. It has a waterproof rain fly with awnings over doors and windows that keep keep the water out. It also has a strong bathtub floor that prevents moisture seepage through the floor. 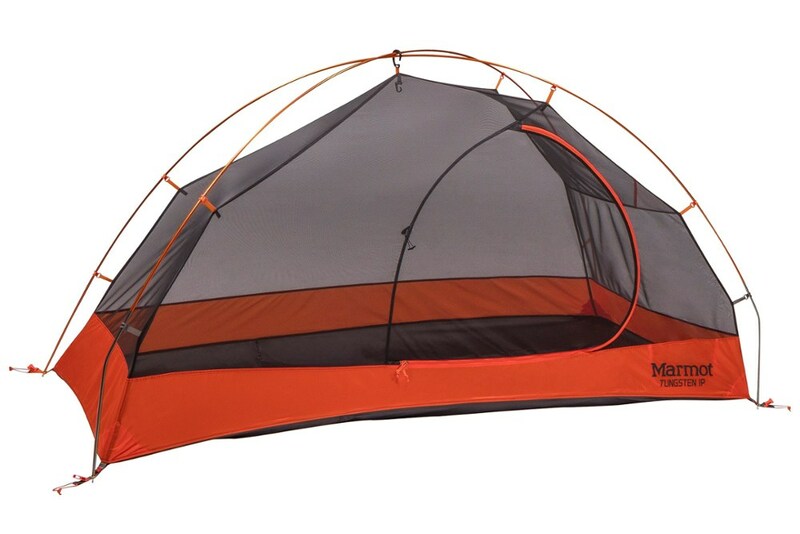 It has d-rings sewn on all sides that can be used to anchor the tent in windy weather. And, when windows are ziped closed, it retains heat well so that it can be used for winter camping here in the southeast. 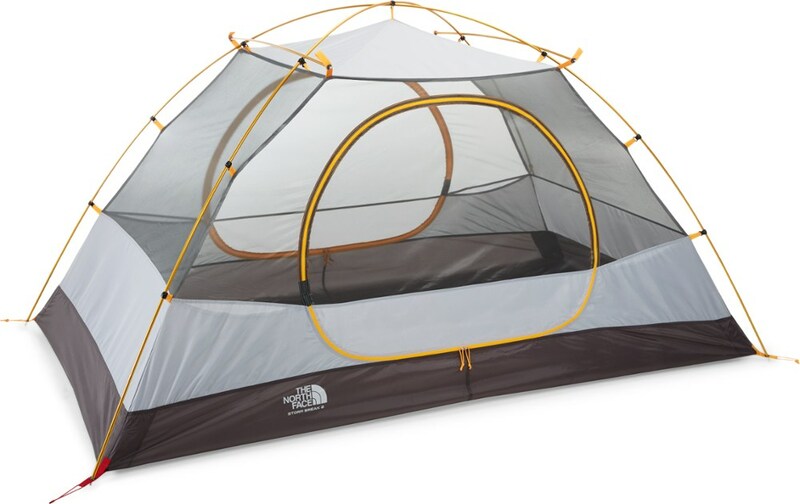 Finally, I like the fact that the materials used to make this tent are very durable. The four corner poles are solid metal. The floor and walls are made with relatively thick nylon materials. And, the plastic parts are very solid. When setting up the tent, we use a cheap poly tarp as a groundcloth and we protect the floor with an open rectangular sleeping bag (under our sleeping mats) and a carpet at the other end. We position our sleeping pads lengthwise at one end and use the other end for dressing (and bathing, if necessary). If you wanted to be picky, you could say that weight is a small negative. The manufacturer reports the weight as 22 pounds but we added a ground cloth and two door mats which makes our duffle bag a little heavier. This weight makes it hard to lug to walk-in sites. Another point to mention is that it may not be ideally suited for sustained high winds. A few years ago, we took it to Gulf State Park in Gulf Shores Alabama but the sustained wind off the Gulf of Mexico put quite a stress on the tent. The near vertical walls plus the partial coverage rain fly provides plenty of surface area for the wind to pressure and lift the tent. We had it securely staked to the ground. Fortunately, the tent was not damaged. 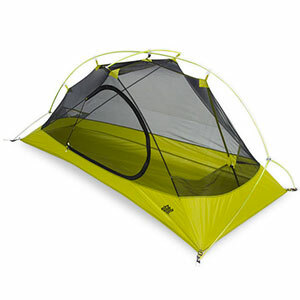 But after the trip, we decided to bring another tent with a full coverage rain fly on future trips. I bought this tent on clearance... for about half of what it retails for. I knew I was getting an incredible bargain.I have had previous experience with Eureka! as well as many other brands of tents. At the time I was downsizing from a huge tent that was too much for just my son and I. 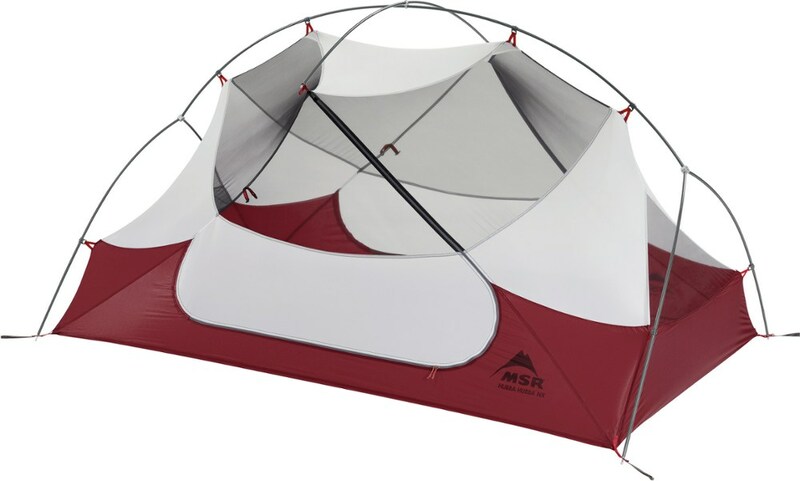 The Headquarters is a rectangular tent with 4 pre-bent aluminum poles that fit into a central hub on the tent apex. My son (11) and I can set it up from start to finish in under 10 min including the stakes and rain fly. 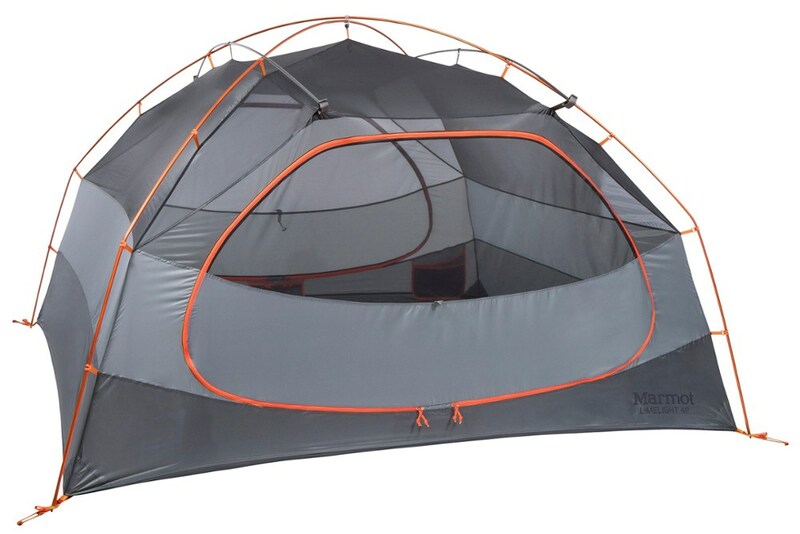 It is a very stable and strong tent... and the materials are very high quality. It has tremendous headroom... I am 6'5" and have no problem standing up in it. We have had 2 extra large cots plus a regular one and our 2 100 lb. dogs in the tent and still had room to change and store our belongings. We have used it for 2 yrs, and it has weathered high winds, torrential rains and 20 degree weather. It has never leaked a drop of water. The zippers are very high quality and do not stick or catch at all like our previous tent did. This tent lives up to the Eureka! name and I would buy it again without hesitation. The Eureka! Headquarters is not available from the stores we monitor. It was last seen January 16, 2014	at SunnySports.